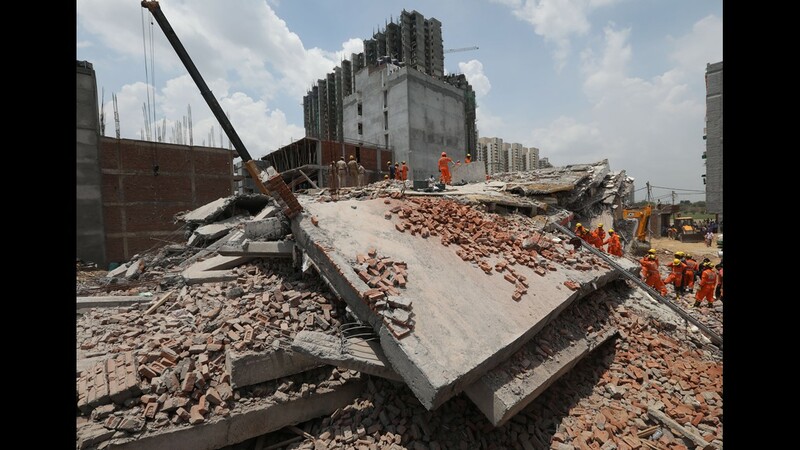 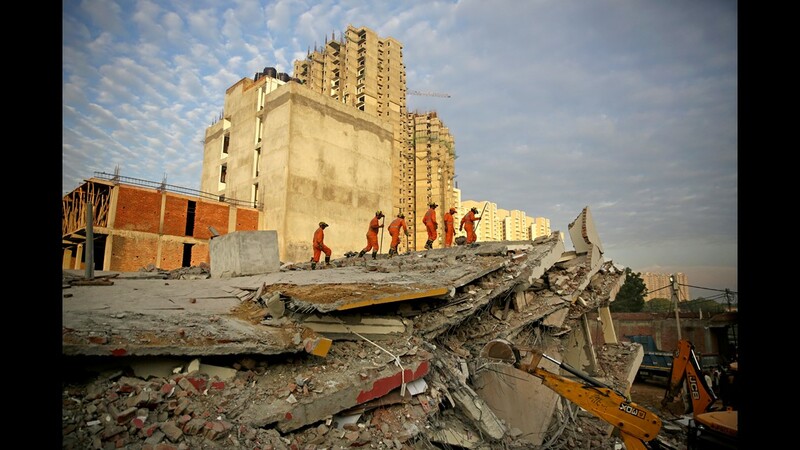 Rescuers work at the site of a collapsed building in Shahberi village, east of New Delhi, India, July 18, 2018. 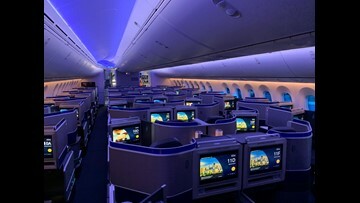 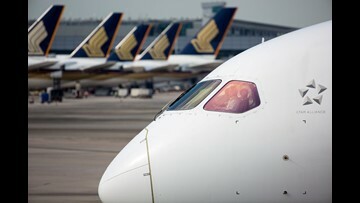 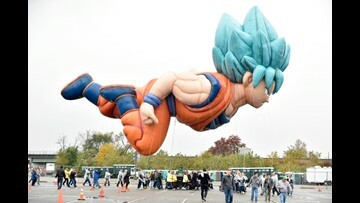 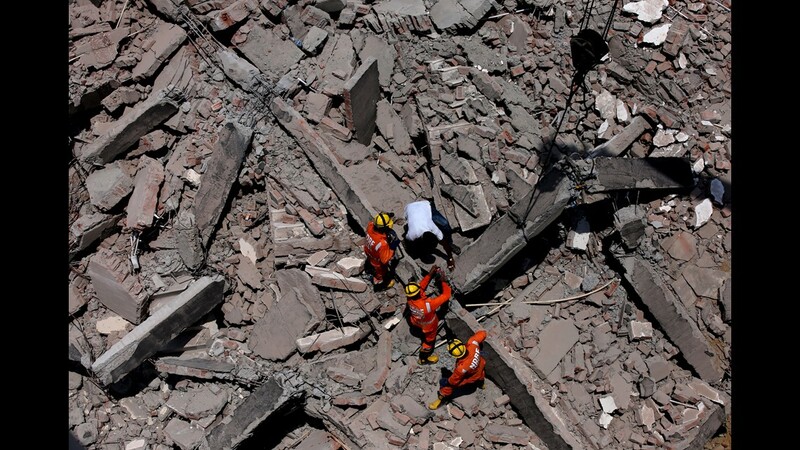 According to media reports, three people were found dead and fifty people are feared to be trapped under the wreckage. 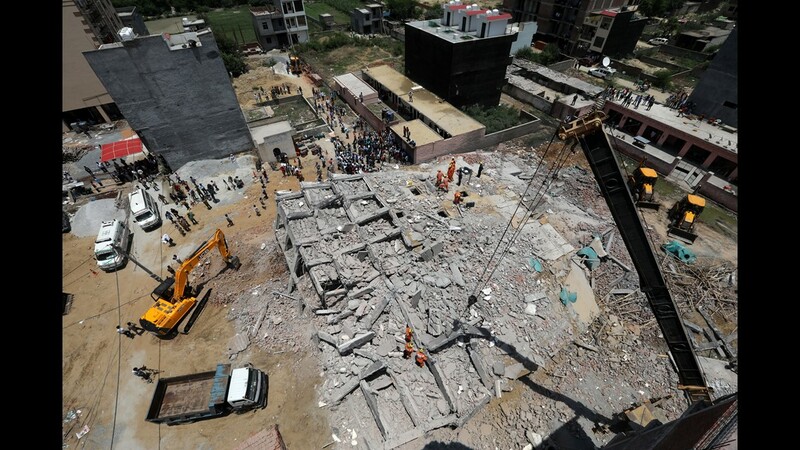 The six-story building under construction collapsed onto an adjacent building. 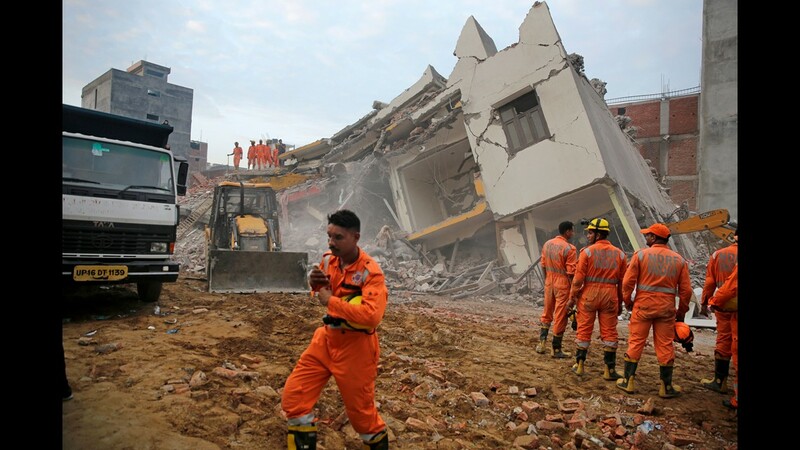 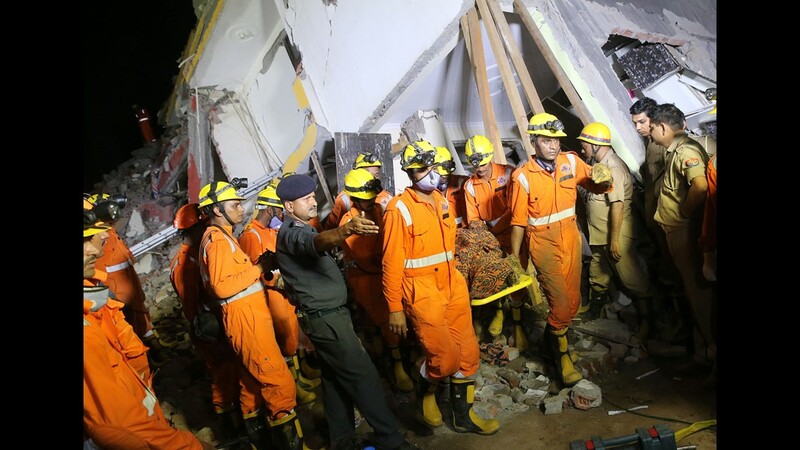 Rescuers work at the site of a collapsed building in Shahberi, India, July 18, 2018. 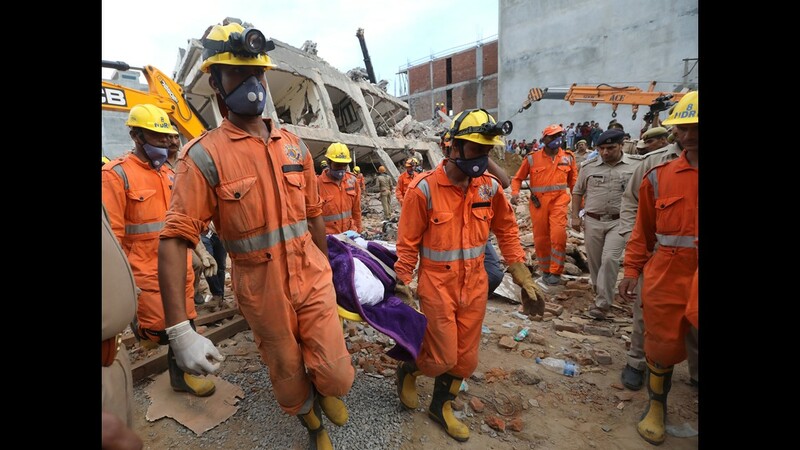 Rescue workers carry the body of a victim at the site of a collapsed building in Shahberi, India, July 18, 2018. 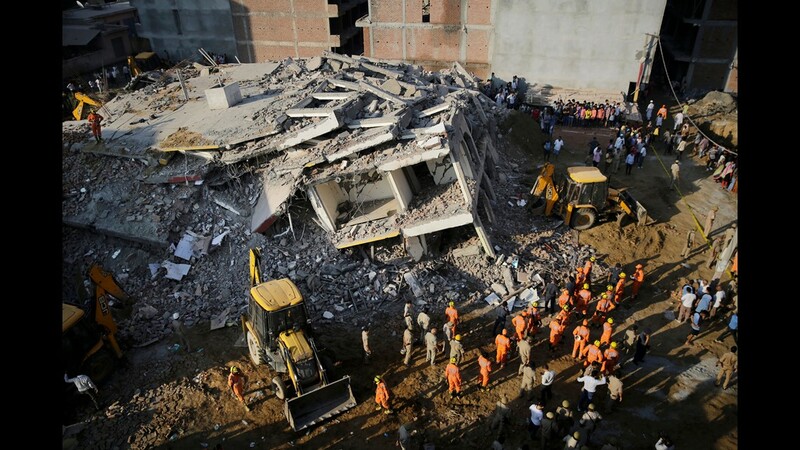 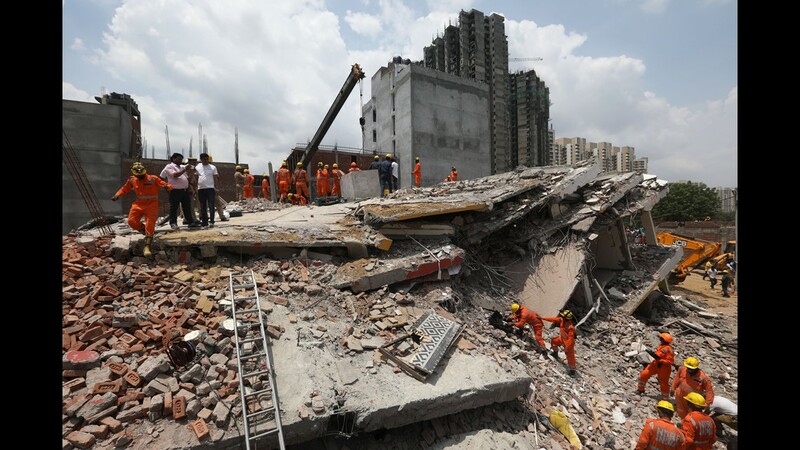 Rescuers work at the site of a collapsed building in Shahberi, India. 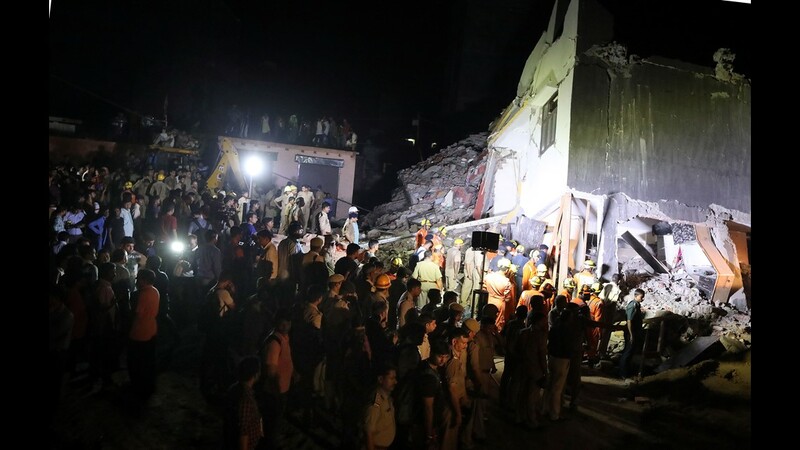 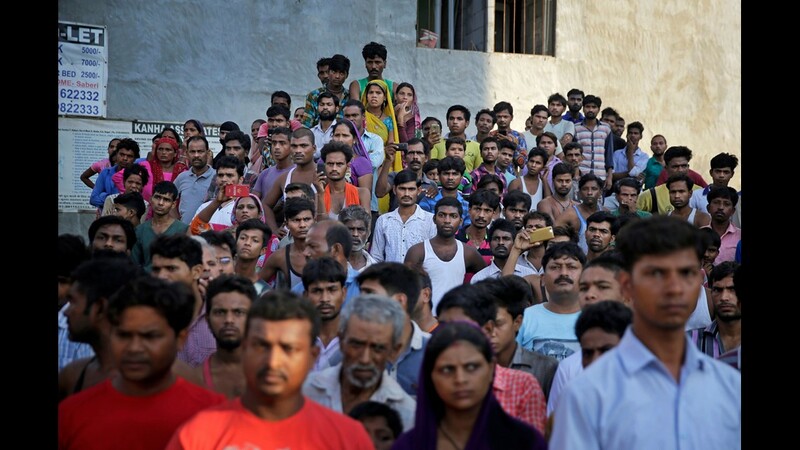 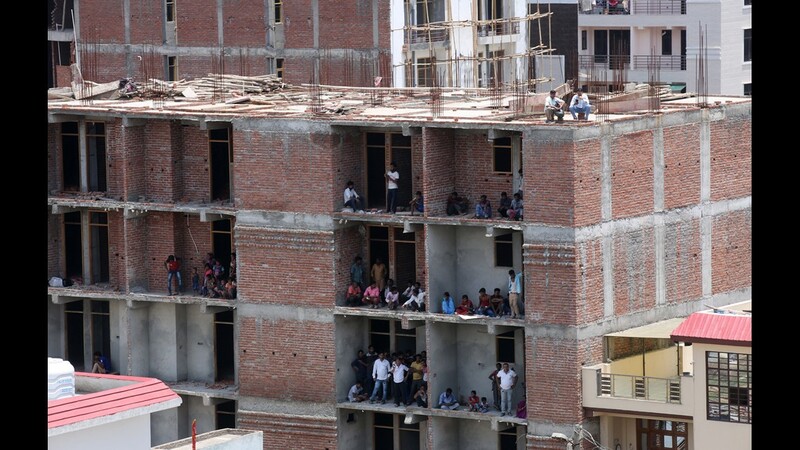 People watch rescuers work at the site of a collapsed building in Shahberi, India on July 18, 2018. 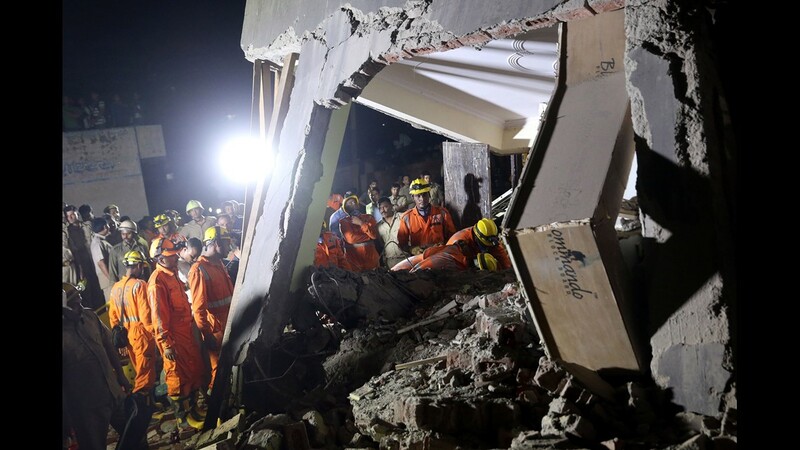 Rescuers work at the site of a building collapsed in Shahberi, India, July 18, 2018. 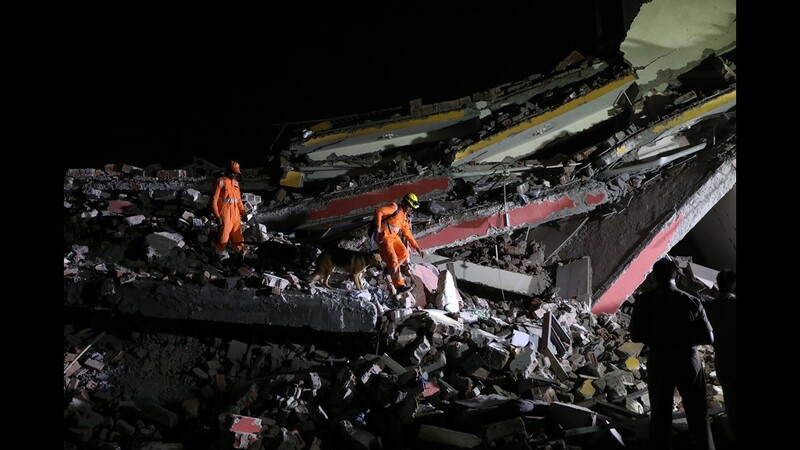 Rescue workers operate overnight on the site of a building collapse. 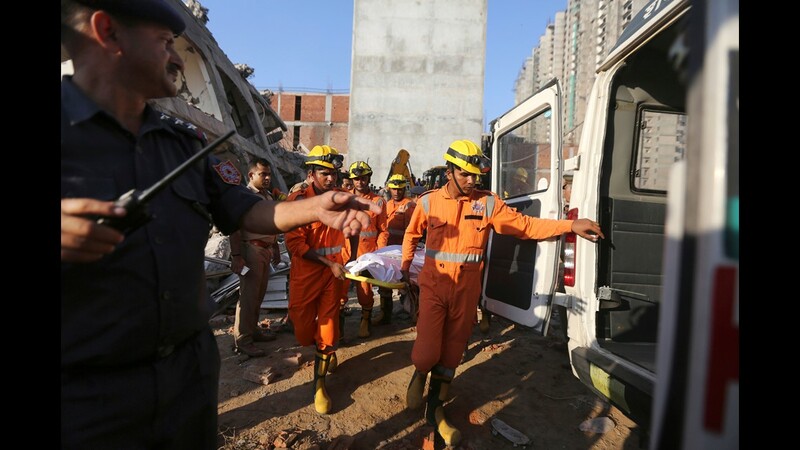 National Disaster Response Force rescue workers carry a dead body recovered at the site of a building collapse. 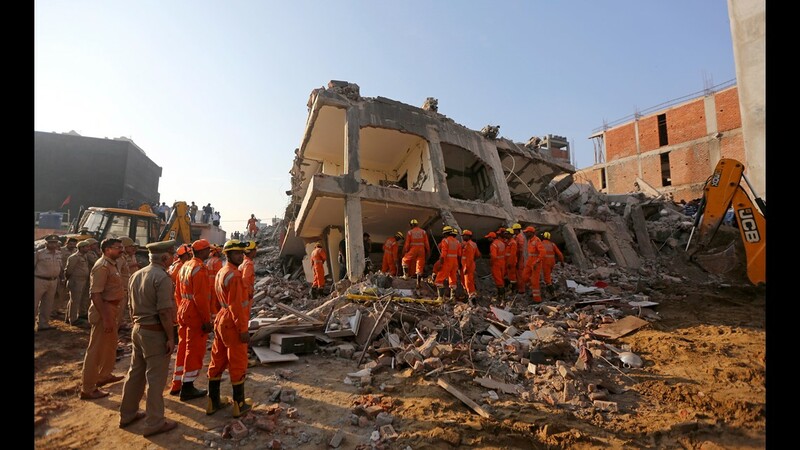 Rescue workers operate on the site of a building collapse. 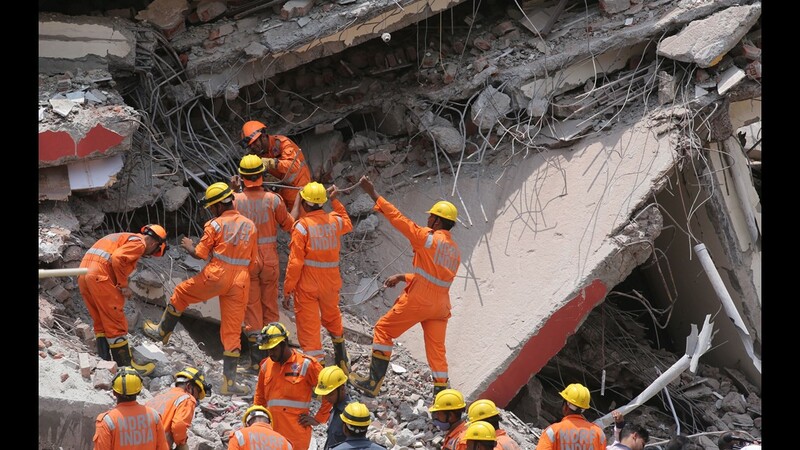 Rescue workers operating on the site of a building collapse.